Gayle Neuman with class of recorders and strings at the EMGO workshop. Photo by Full Duck. 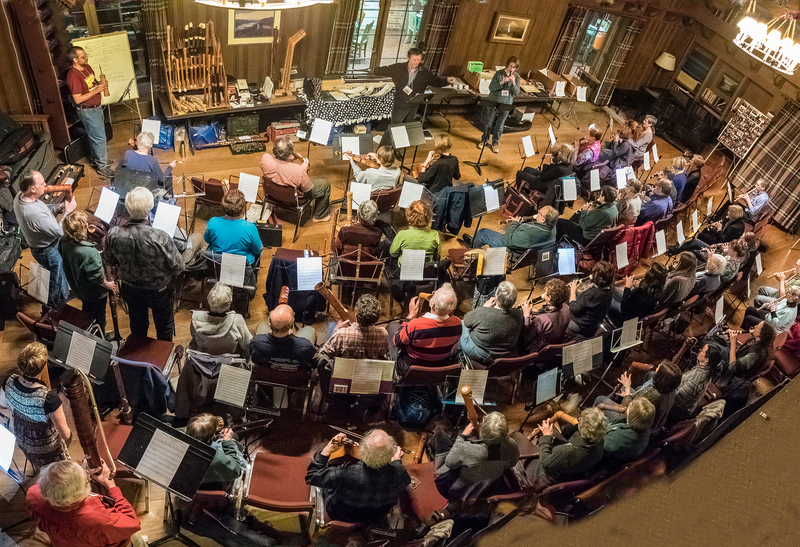 EMGO Early Reeds & Brass Blowout with special session for recorders & strings Workshop April 27 & 28, 2019. 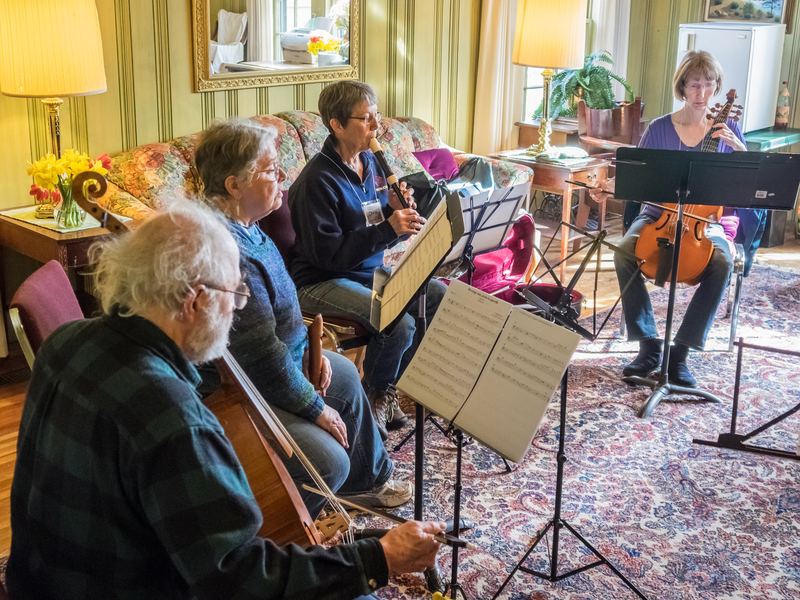 EMGO is sponsoring a 2 day workshop in Carver, Oregon, Faculty will be Laura Kuhlman, Gayle Neuman, and Phil Neuman, and the focus will be 500 years of English Music. 3 meals are included. For more information write to pneumantartold@gmail.com. The Neumans have taught at various other workshops including the Whitewater Early Music Workshop in Whitewater, Wisconsin, Vancouver B.C. 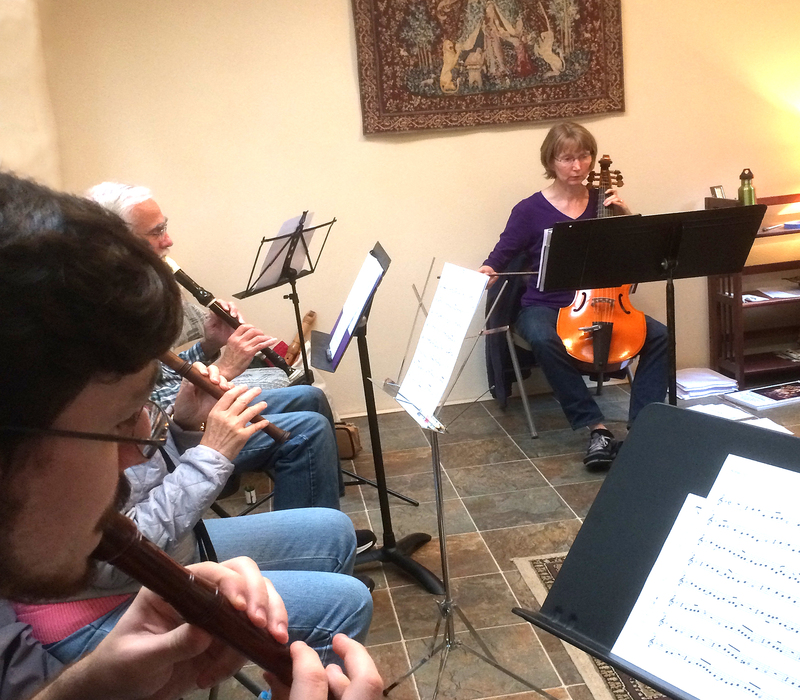 Recorder Workshop, the Vernon B.C. Early Music Workshop, the San Francisco Early Music Society Recorder Workshop, Port Townsend Early Music Workshop, the EMGO Early Reeds and Brass Blowout, the EMGO Early Music Workshop, and the Columbia Gorge Early Music Retreat.